For Guests who prefer a smaller RV, without sacrificing on space, the MHB is the answer. 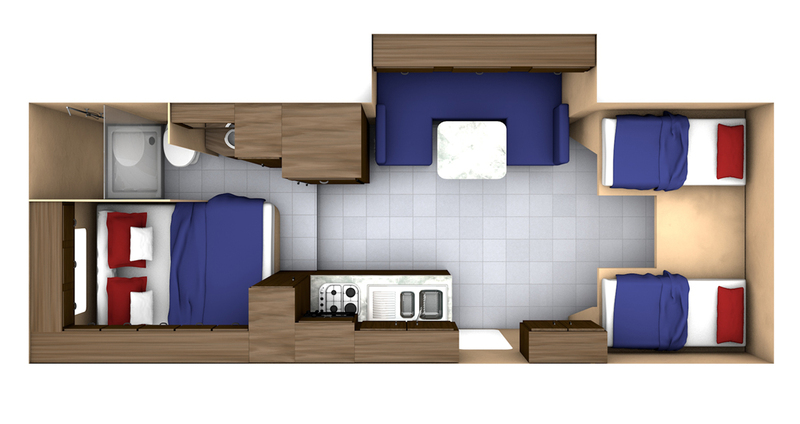 With a comfortable queen bed, cabover beds and dinette sleeping, the MHB sleeps four adults and two small children and provides all the comforts you are looking for in a slightly more compact design. The Class C Midi Motorhome is ready to travel when you are. Our MHB features overcab beds and a queen size bed towards the rear of the RV giving privacy for those sleeping at the back. The dinette easily converts to an extra bed suitable for two small children making the MHB a perfect layout for both families and friends travelling together. The dinette quickly converts into a bed suitable for one small adult or two small children, while couples can enjoy the privacy of the rear bedroom and the convenience of its ample wardrobe space. Image is representative only of the interior of our MHB. Actual RV received at pick-up may have a slightly different configuration. Le Super Van Camper offre le summum de l'efficacité du design. La cuisine offre tout ce dont vous avez besoin pour confectionner un bon repas familial sur la route de vos vacances. The bathroom, featuring a flush toilet and stand-up shower, is conveniently located to the rear of the RV. Image is representative only of the interior of our MHB. Actual RV received at pick-up may have a slightly different configuration. The dinette provides space for eating and sitting and easily converts to a bed suitable for up to two small children. Image is representative only of the interior of our MHB. Actual RV received at pick-up may have a slightly different configuration. Most of our MHB models have awnings attached which are fitted at the factory during the build process. Please note that these awnings are not available for Guest use to protect Guests against the high cost of repairs or replacement should they be damaged. There's plenty of room for clothes in the spacious closet, while the washbasin is located just outside the bathroom. 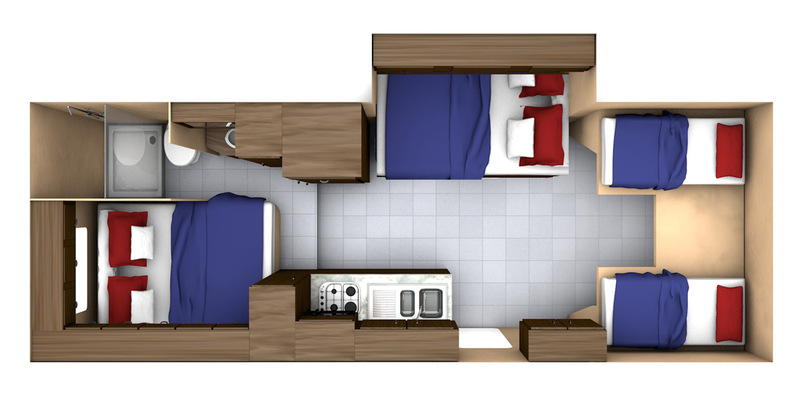 The bathroom in this model of MHB is situated next to the comfortable rear bed. The well-designed cab has everything within easy reach while the overcab twin beds provide a fun place for the kids to sleep. Rear and overcab beds do not change from night to day and the dinette can be used for lounging and meals. Layouts may vary within the MHB category and this specific layout cannot be guaranteed. The dinette can be converted to a bed suitable for one small adult or two small children. Layouts may vary within the MHB category and this specific layout cannot be guaranteed. 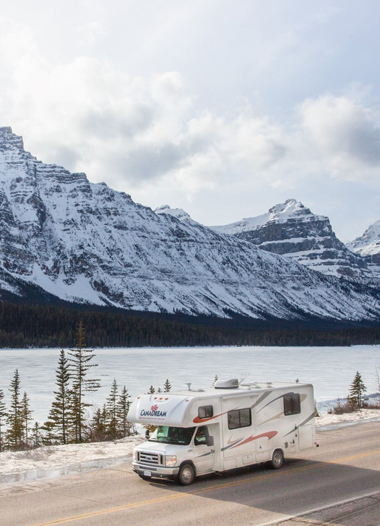 See what others have to say about their RV vacations in Canada in our MHB Midi Motorhome.